This example targets the SAM C21 family of devices. 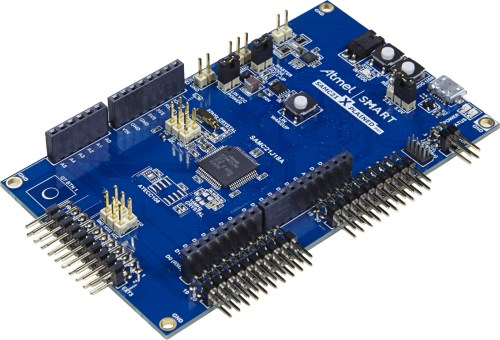 The application is designed to work using the SAM C21 Xplained PRO evaluation kit (ATSAMC21-XPRO) which contains the ATSAMC21J18A Arm® Cortex®-M0+ MCU. 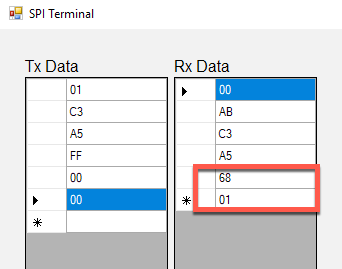 To run this demo, an SPI Master host must be present to issue the commands necessary for the communication. 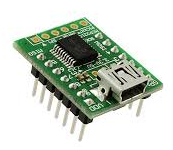 In this demo, we use the MCP2210 USB-SPI Breakout Module (ADM00419), which can be conveniently connected to a PC where SPI transactions can be issued using the provided SPI terminal application. 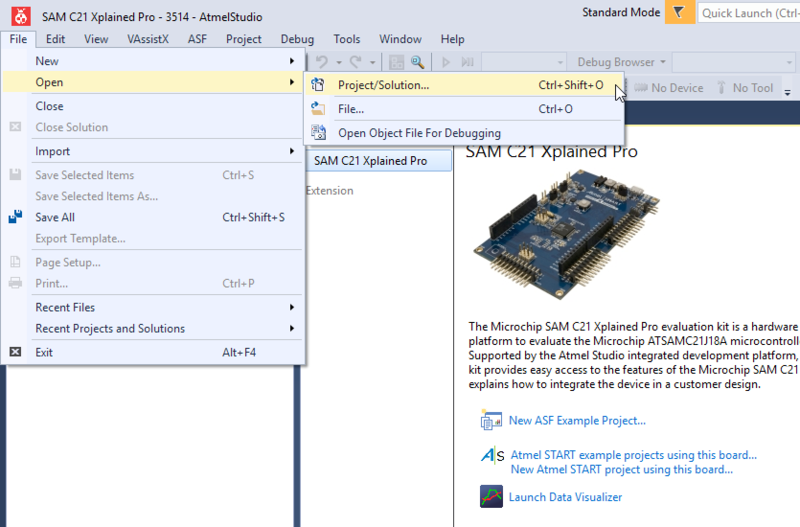 This code example uses a register-direct C-coding style (i.e., no software framework) and is built using the Arm GCC compiler toolchain, which is installed along with the Atmel Studio 7 IDE. 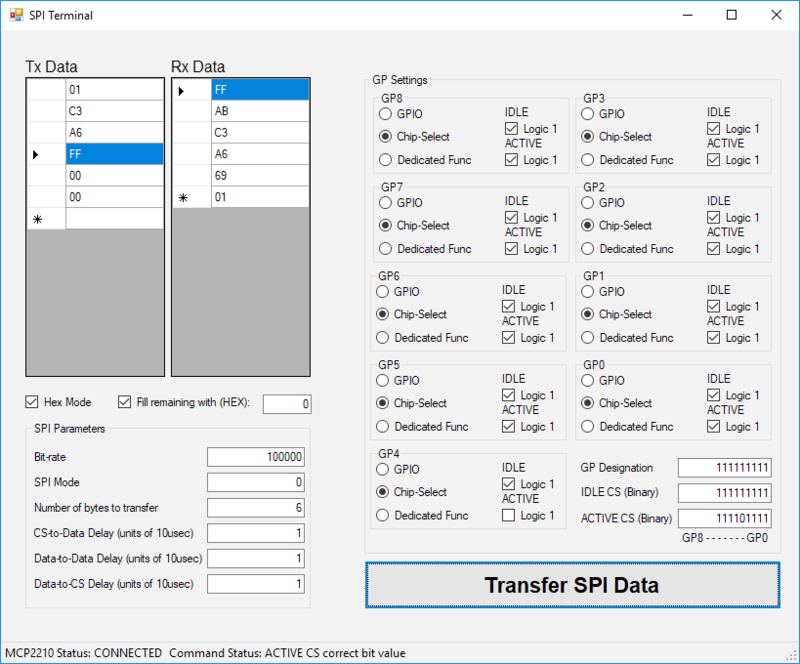 This PC application simulates an SPI Master device and interacts with our SPI Slave application using the MCP2210 USB-SPI Breakout Module. We recommend extracting the ZIP file to your C:\ folder. You should see the folder C:\MTT\32arm\samc21\code-examples-gcc\sercom\spi-slave-example containing the solution spi_slave_example.atsln. SAM C21 Xplained Pro contains an Embedded Debugger (EDBG) that can be used to program and debug the ATSAMC21J18A using the Serial Wire Debug (SWD) interface. The EDBG also includes a Virtual Com port interface over UART, a Data Gateway Interface (DGI) over SPI and TWI, and it monitors four of the SAM C21 GPIOs. Atmel Studio 7 is used as a front-end for the EDBG. When making the circuit connections, ensure that the supply voltage setting jumpers on each board are matched, as both the MCP2210 breakout board and SAM C21 Xplained Pro can operate at either 3.3 V or 5 V.
Attach the SAM C21 Xplained PRO board to your computer using a USB A-to-MicroB cable. 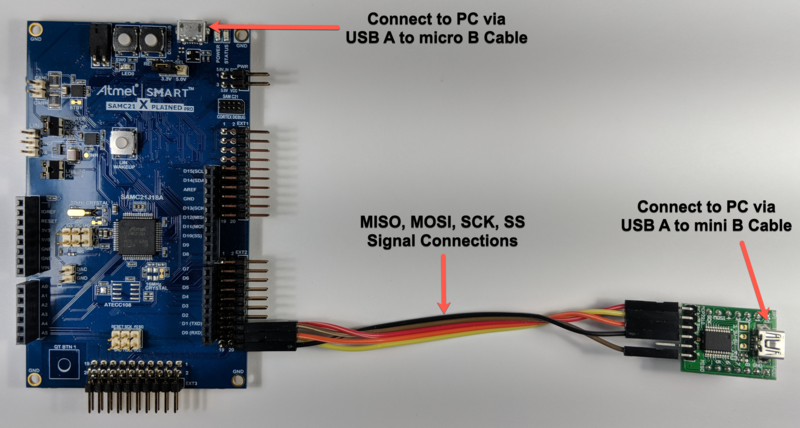 Attach the MCP2210 breakout board to your computer using a USB A-to-MiniB cable. Connect the MCP2210 breakout board pins to the Xplained PRO pins as shown above. The board is identified by the last four digits of its serial number (see the sticker on the bottom of the board). In this example, the last four digits are 3514. 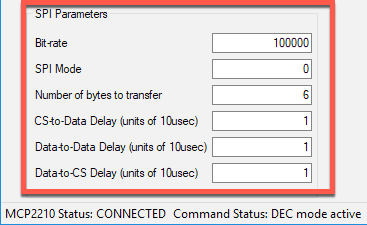 Next, you need to configure the debugger in Atmel Studio to discover and connect to the target EDBG IC on your Xplained Pro board. 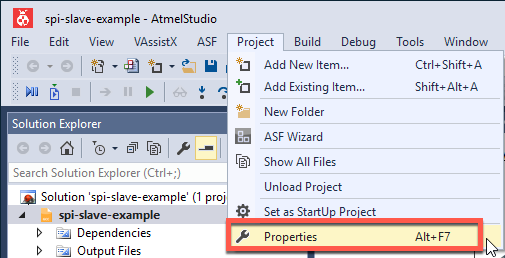 Click on the Start Without Debugging icon in Atmel Studio which re-builds the HEX file from the project source code, downloads/programs the HEX file onto the target MCU, and releases the target MCU Reset pin, allowing the program to execute. 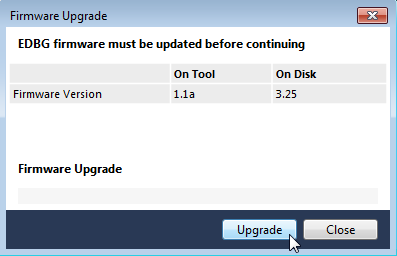 You need to click on Start Without Debugging again after an EDBG firmware upgrade in order to rebuild/program the target. 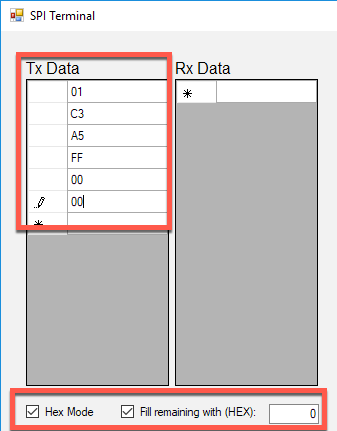 The SPI Master is to transmit a formatted, 6-byte packet, consisting of a command byte, 2 input operand bytes, a dummy byte, then clocking out 2 result bytes. We issue an 'ADD' command packet 0x01 by adding 2 bytes, 0xC3 and 0xA5, and returning the result 0x0168. 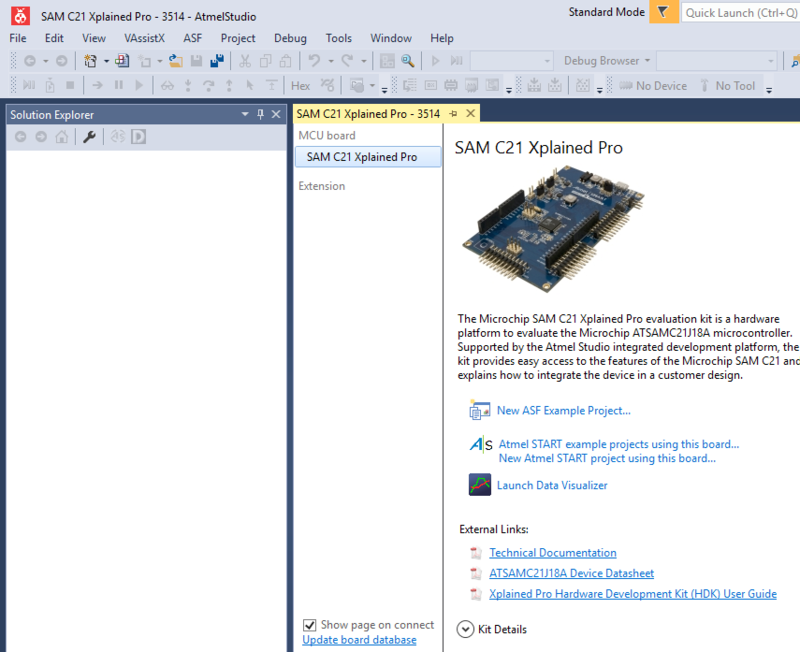 Additionally, the LED0 on the SAM C21 Xplained Pro board will toggle every time a command is successfully executed. 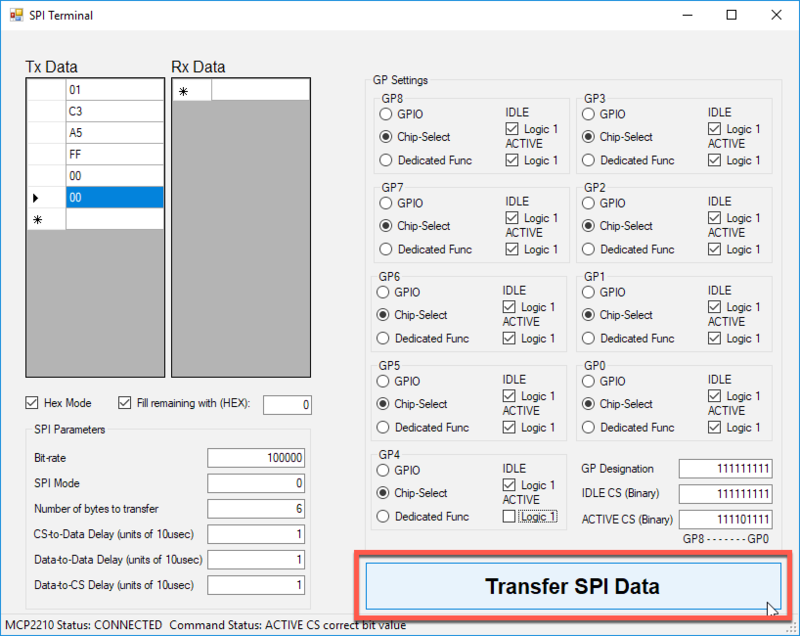 This example project demonstrated how to initialize the SAM C21 SERCOM SPI peripheral in Slave mode, as well as how to handle the SPI interrupts generated by the different sources.